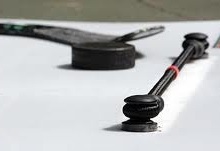 The SweetHands Stickhandling Trainer is a product designed to help players develop and improve their puck handling skills. 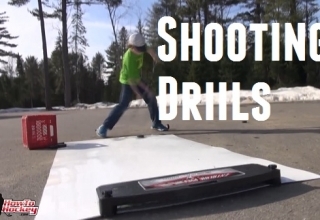 A common drill that hockey players perform is setting up a line of hockey pucks about a foot apart and then stick handling through them. The problem is most players spend more time setting up pucks or fetching them after they hit them, rather than stickhandling around them. The SweetHands trainer is basically a souped-up line of hockey pucks! We take a detailed look at exactly what you get when you order the SweetHands trainer. SweetHands comes in eight pieces. 6 pieces are “extension” pieces and two are “starter” pieces. Each piece will give you about a foot for stickhandling. The extra starter piece allows you to either use all the pieces for 8 feet of stickhandling or split it in half for two four foot sections. It also comes with attachable spikes that you can screw into the bottom of the SweetHands (in case you want to take it on the ice) and they tossed in a device to screw them in as well. Assembly is fairly easy, you start with the starter piece and then continue to add the remaining extension pieces. All you have to do to add a new piece is connect the extension, fold it down, and it locks into place. If you add every extension to the starter you will have an eight foot length. After SweetHands is set up, you are ready to practice and play. 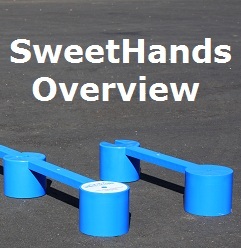 There are a variety of drills that you can do with Sweethands. 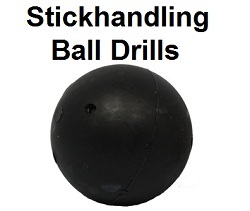 The objective is to stickhandle under all sections without hitting any of the posts. 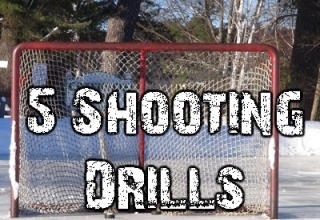 Some obvious variations would be to stickhandle on your shooting side, while straddling SweetHands, on your backhand side, and also practice stickhandling back and forth and side to side through SweetHands. An easy and fun way to use SweetHands is to time yourself doing a certain task, or a series of tasks, and then try to beat your time. This is a great way to track your development and compete with friends. 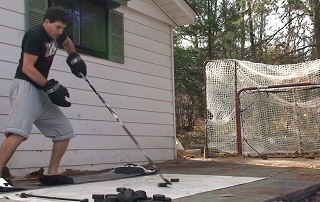 The purpose of the SweetHands is to improve puck-handling skills. The idea of puck-handling is to be able to move the puck with your stick wherever you want it to go. 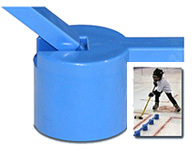 During a hockey game, players will need to move the puck around players, under sticks, and through legs. This requires a high level of hand-eye coordination and accuracy. A product like SweetHands will help build those skills. SweetHands comes with two starter pieces and six extension pieces. This give you the ability to add three extension pieces to each starter piece for two four foot sections. The second section can be used for competitions and mini tournaments with friends or to add new levels of difficulty, new dimensions of play or practice to the first section. This page has given you an in depth look at the SweetHands product. To see our full review and what we thought of it, be sure to check out our full SweetHands Review – Coming Soon! 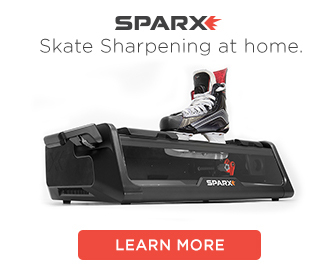 This is the biggest joke in hockey training devices. Almost any other training tool is more effective at creating “sweet hands”. 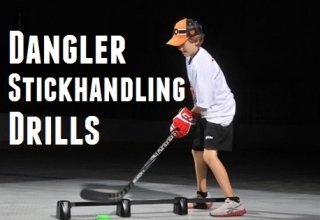 Avoiding pucks that can move is actually more challenging and creates better hands. Not sure how Sweet Hands became even remotely popular. To each their own right! This is not a revolutionary product in any way, it is just something to stickhandle through and challenge hockey players. 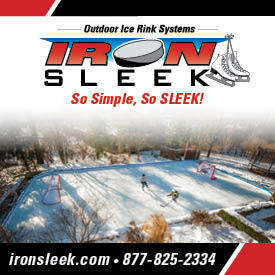 It is a simple product that serves a simple purpose, you can think of it as a modified row of pucks!